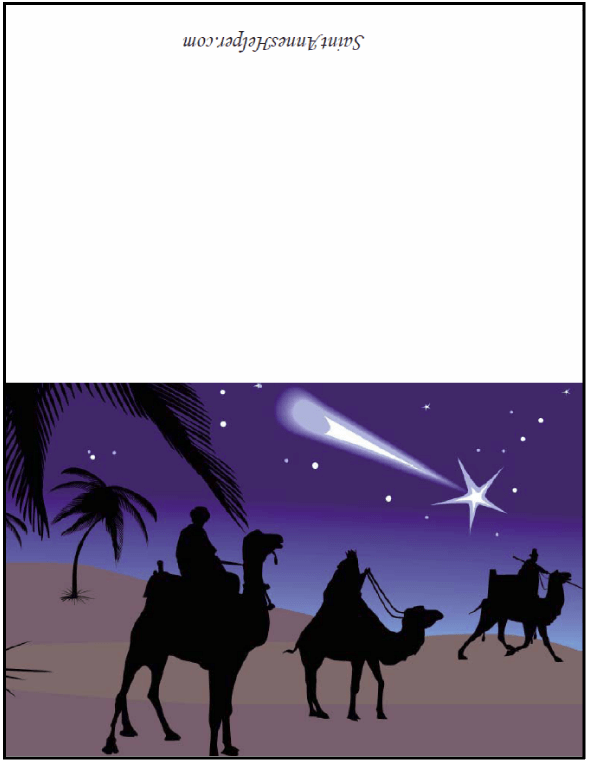 This Three Kings coloring page shows the Wise Men with their gifts from the Orient. They followed a star to Bethlehem and brought gold, frankincense and myrrh to honor Jesus. Their feast day is the feast of the Epiphany, January 6. Happy Kings Day! 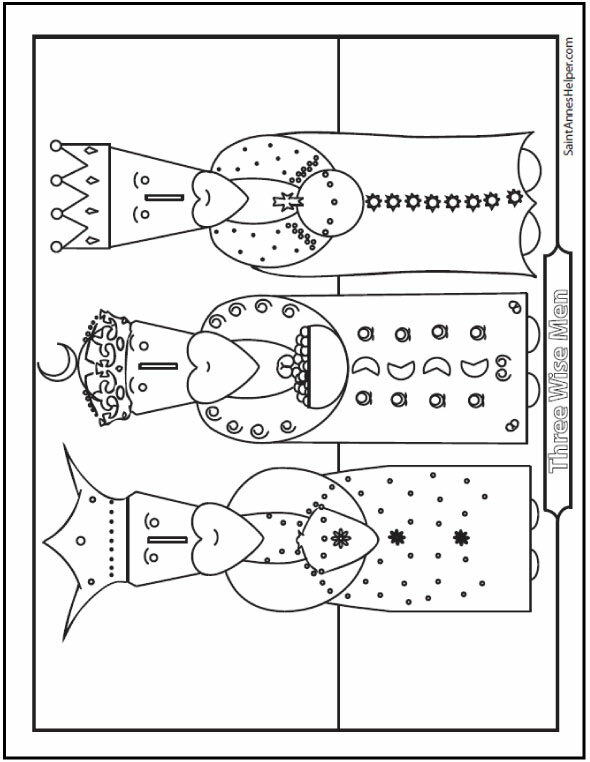 Print this Three Kings coloring page here. Sing "We Three Kings of Orient Are" on the feast of the Magi. And happy feast of the Epiphany! Did you know that the Epiphany is a holy day of obligation in Great Britain, Canada, and Australia? Neat! The feast of the Magi falls in the Christmas season at the very end. 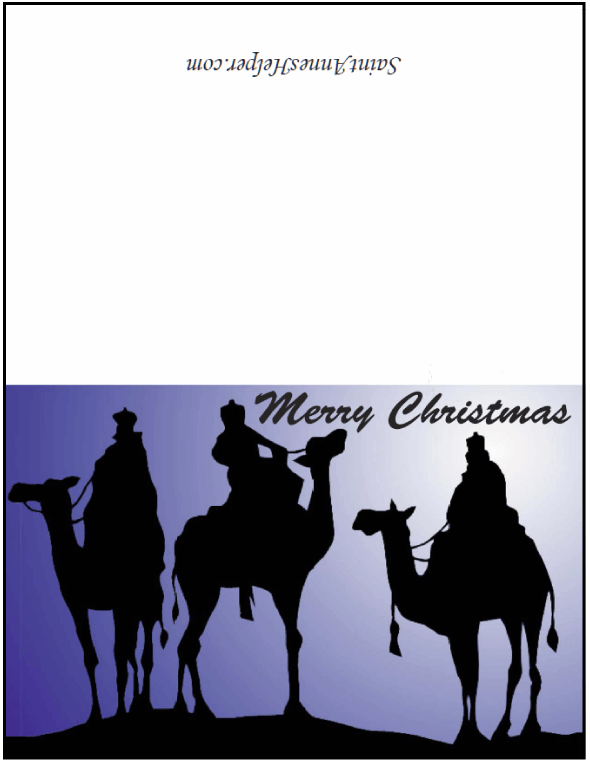 Print and give these simple cards on Kings Day.